It all started last week with this 3D Perler Bead Pokemon and Squirtle. Well, you know me and of course we couldn't stop there. 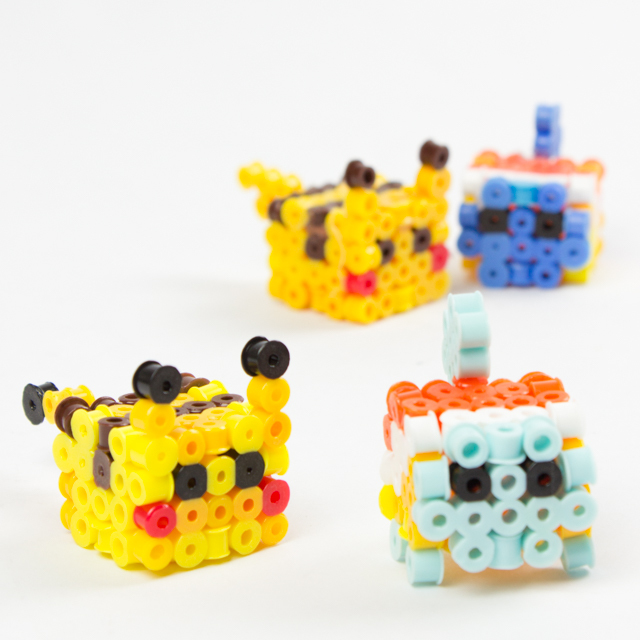 Today I have another super adorable 3D perler bead craft for you. 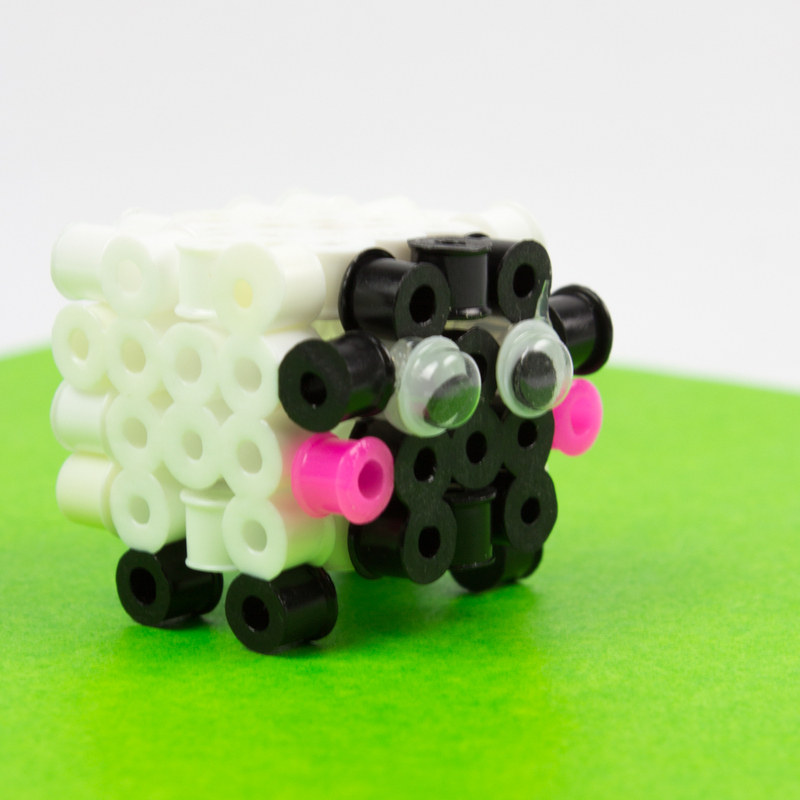 We're making these adorable perler bead sheep! Baaa! This post contains affiliate links. This means I make a small bit of change off of any purchases you make through the links. Thank you for the grocery money! For my full disclosure policy, click here. The Perler Bead holiday crafting continues! 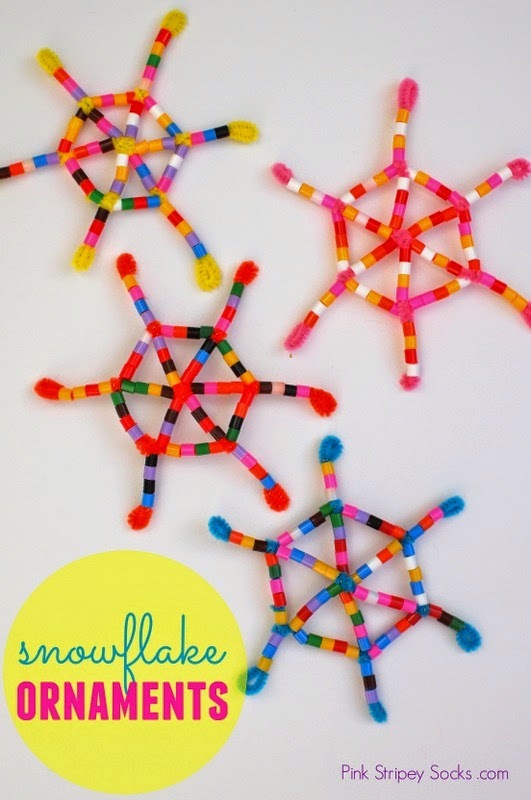 A couple of days ago I shared how to make these super easy Perler Bead Snowflake ornaments. Today I'm over at DIYCandy sharing this quirky and unique Perler Bead Holiday Garland! You just need 2 materials: Perler Beads and Zip ties ! Hope you had a wonderful Thanksgiving, friends! We're going black Friday shopping today with family! Wish us luck! Awhile back I had the wonderful opportunity to do a post swap with Allison from Dream a Little Bigger. (She's a serious crafting all-star, so I definitely recommend checking out her blog if you want to get seriously inspired.) While packing the other day I found my collection of DIY Perler Bead Bracelets (see the bottom of the post for pictures.) And then I realized that I never shared my tutorial here. So tada! Here's a post from the archives. Today we're going to make these lovely "fish" and "fruit" perler bead bracelets. Aren't they both so colorful and summery? Don't you just want to make one? It feels like summer camp all over again... Let's get stringing! Last weekend I took Chuck to Target and we had a blast seeing all the costumes and decorations. Doesn't matter how many times I've seen a dancing skeleton or singing skull, this stuff never gets old. I guess I'm a kid at heart because Halloween is my very favorite holiday. So that's why I'm super excited to share this craft with you. I went a bit crazy with my perler beads and designed two candy corn inspired bracelets. Today I'm sharing the simpler design with you. If you like this one, head on back tomorrow to see how I made the more complicated one. (I labeled the beads with numbers to help out with step 3.) These six will be your first column of beads. 3. Now you're going to add your second column of beads. Add on a yellow bead (#7). Then,slip your string through your #5 yellow bead. Add an orange bead (#8). Then, slip your string through your #3 orange bead . Then, add a white bead (#9). Then, slip your string through your #1 white bead. Then, pull tight. Now you've got the basis for the rest of your bracelet. See how some portions of the bracelet jut out and some portions of the bracelet don't? As you continue to build your bracelet, you'll alternate between adding a bead to fill in the gaps, and stringing your cord through the beads that jut out. 4. Let's add the fourth and fifth columns. Column 4: Add a white bead. Slip your string through the jutting out white bead. Add an orange bead. Slip your string through the jutting out orange bead. Add a yellow bead. Slip your cord through the jutting out yellow bead. Pull tight. Column 5: Add a yellow bead. Slip your string through the jutting out yellow bead. Add an orange bead. Slip your string through the jutting out orange bead. Add a white bead. Slip your string through the jutting out white bead. Pull tight. Keep going and continue to follow the pattern. Add a bead and then slip your string through a bead that's jutting out. Keep pulling your string tight after adding each column of beads. If you run out of cord, no worries! Just tie on another strand. Now make sure that (1) it fits your wrist and (2) both ends fit together like zipper teeth. Then, string your cord through both sides of the bracelet and pull tight. Remove the stopper bead and tie your beginning and ending cords together. Tada! Done. And that's how you make a simple candy corn inspired perler bead bracelet. Like it? 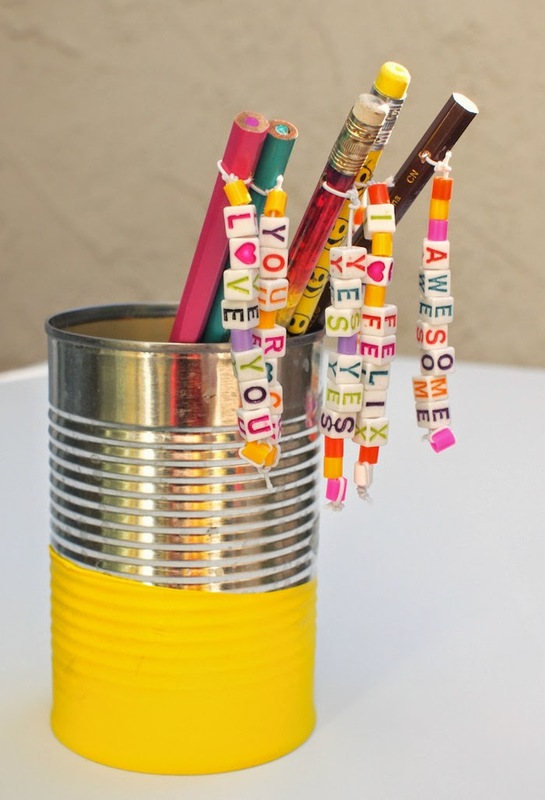 If so, come back tomorrow to see how I made a slightly more complicated candy corn bracelet. No more vacation, no more white shoes. Want to keep the good time summer vibes going? Check out this watermelon bracelet I made out of Perler beads. It's my second craft post for Handmade Charlotte. Ok, ok. I'm still on the Perler bead kick. I can't help it! The jar is still practically full of beads.... and it mocks me whenever I walk by. I tried hiding them in a craft drawer, but it didn't help. I hear tiny colorful voices crying "Leslie, Leslie. Use us. Use us!" So like any crafter, I caved in to their siren calls. 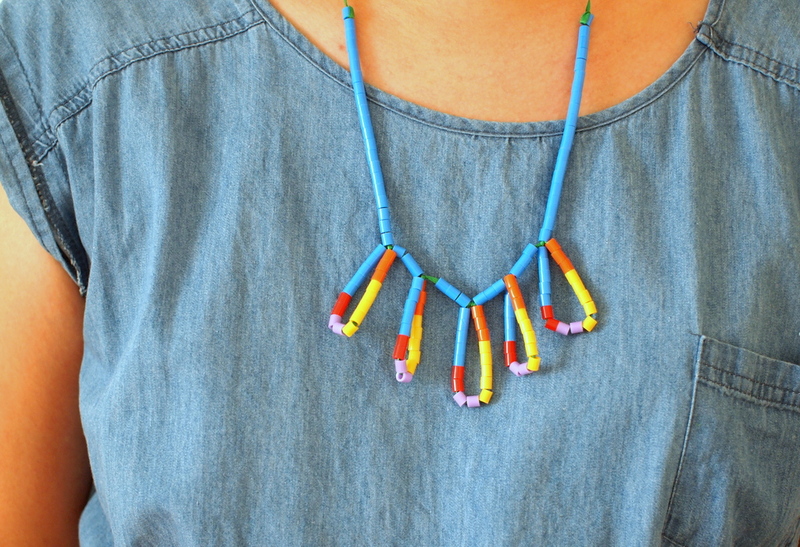 Inspired by Mark Montano, I used zip ties to make these quick and easy Perler bead statement necklaces. Tada! So if you too find yourself taunted by Perler beads, you could try making these necklaces too. Let's begin! And so the Perler bead craze continues! Yes. I'm still on a Perler Bead kick. I'm sorry. I can't help it. I'm the kind of person that likes to finish things off... and so far I've been thwarted from doing just that. Boo. Even after all this crafting, I still have like a billion beads left. A billion! Ack! What do people do with all these beads anyway? 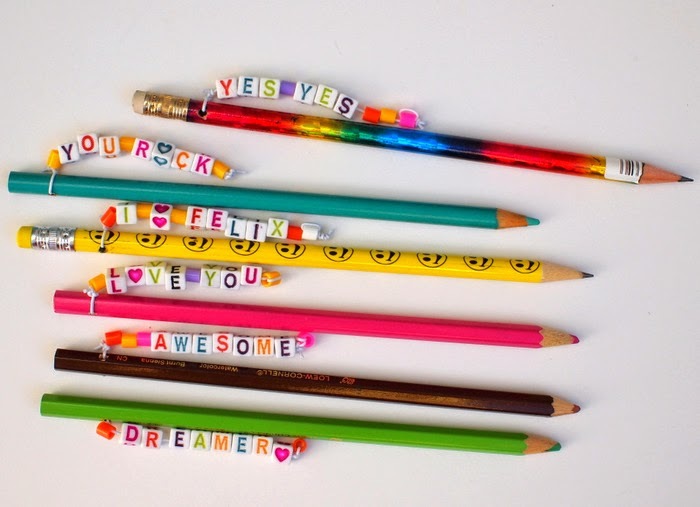 You rushed out to buy a huge tub of Perler beads because you had to make an awesome Perler bead bowl. But now you find yourself staring at a huge tub of tiny colorful cylinders, wondering what you're going to do with all of them. Well, how about making a braided Perler bead bracelet?